Whether you are looking for a wagon for decoration or for a wagon that will help facilitate taking care of your goats, the Amish Wooden Goat Cart is a great choice! This small premium wagon is crafted with quality construction and premium materials. 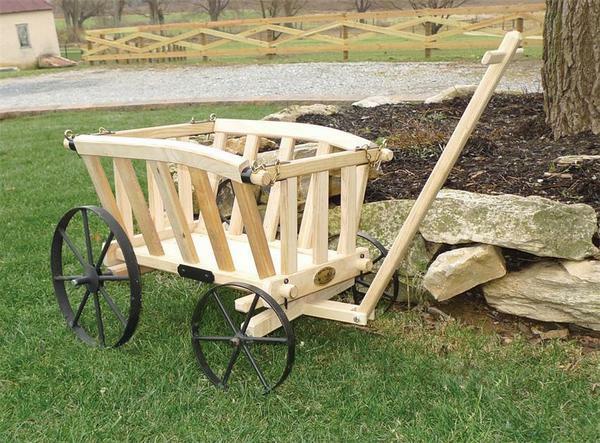 A traditional design makes this wagon a great decoration piece for any backyard. 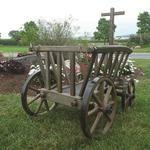 Place your order online today or call us with questions regarding this custom wagon cart! I received the wagon today. It is absolutely gorgeous! Thank you so much!